397 records – page 1 of 8. Item is the unbound master copy of the "Burnaby Centennial Anthology / Stories of Early Burnaby" produced for the Burnaby Heritage Advisory Committee by: Harry Pride, Annie Boulanger, Marjorie Colclough, Barbara Froese and Les Lee Lowe (members of the History and Heritage Committee of Burnaby's 1992 Centennial Committee). 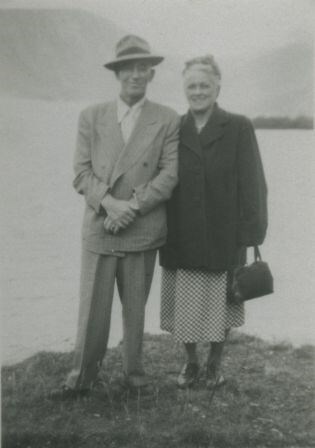 Photograph of Bob and Mary Anne O'Brien, parents of Harry O'Brien. 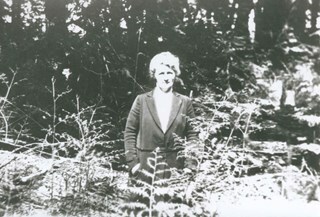 Photograph of Esther Giffen Wood, mother of Robert "Bob" Wood standing in a forested area. 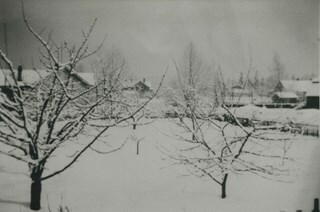 Photograph of a yard and trees covered with snow. Houses are visible in the background. 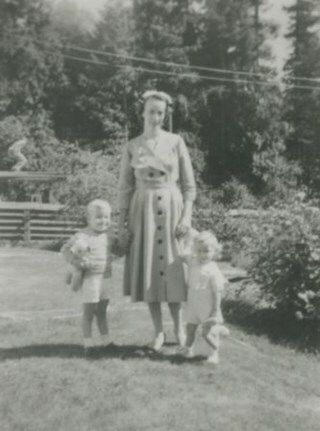 Photograph of a woman and two children standing outside. They are members of the Jackson family. 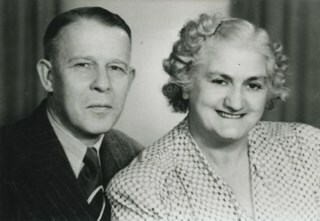 Photograph of husband and wife, Harold and Florence Jackson. 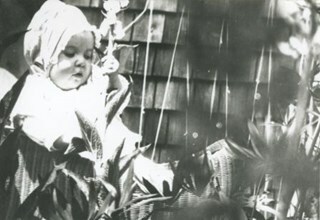 Photograph of baby Vera Jackson, taken outdoors. 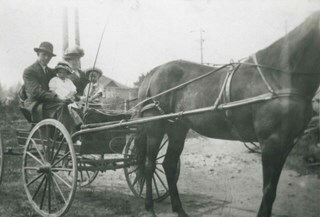 Photograph of the Phillips family, parents and two children, in a horse and buggy. 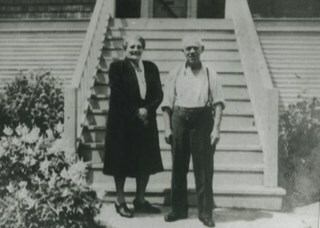 Photograph of an unidentified man and woman standing outside. 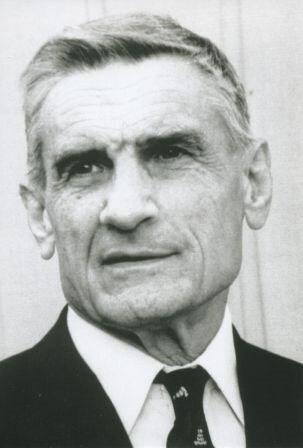 Photograph of Ethen Cornforth at eighty-six years old. 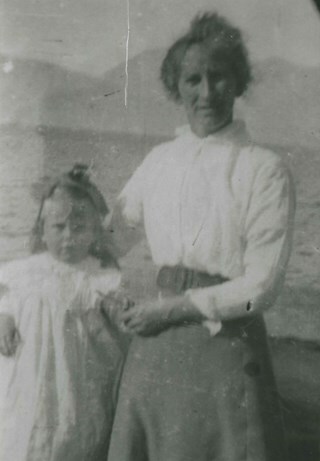 Photograph of Annie Clark and possibly one of her daughters, Mary or Bessie. 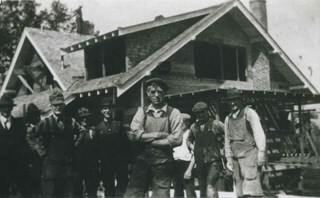 Photograph of a group of house builders outside a partially constructed home. 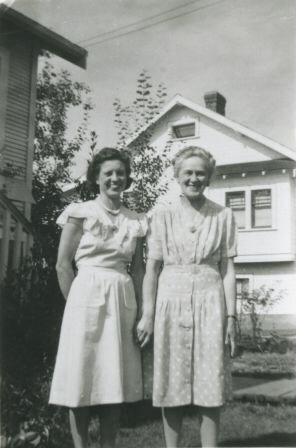 Photograph of two women in a garden with houses in the background. 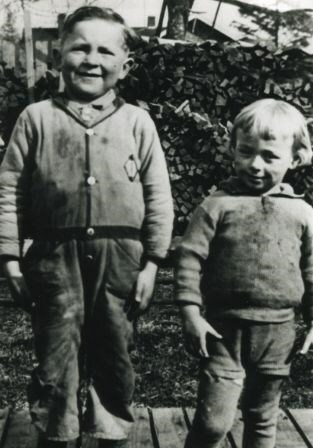 Photograph of cousins John Wosnuk and Ernest Stephen standing in front of a pile of wood. 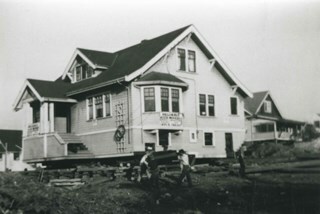 Photograph of Reliable House Movers jacking up a house. Photograph of a group of nineteen young people sitting and standing together outside. 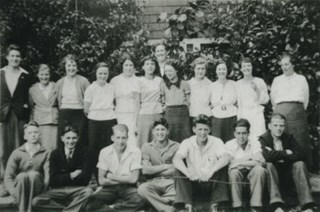 Photograph of a group of twenty-three young people sitting and standing together outside. 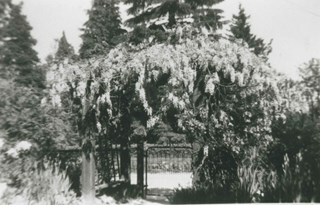 Photograph of wisteria growing over a garden gate. 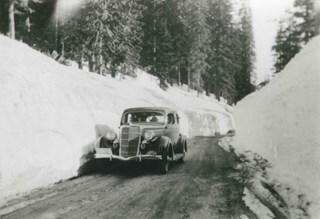 Photograph of a 1935 Ford beside a snow bank. 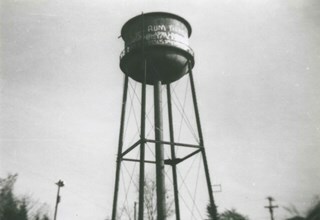 Photograph of a water tower with graffiti on it. 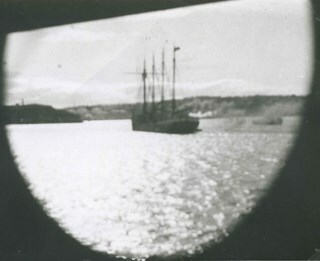 Photograph of a sailing ship. 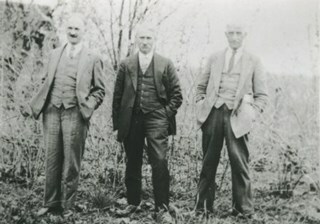 Photograph of three men in suits standing outside. 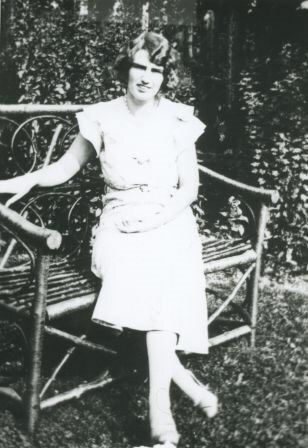 Photograph of Grace Price sitting on a bench in a garden. 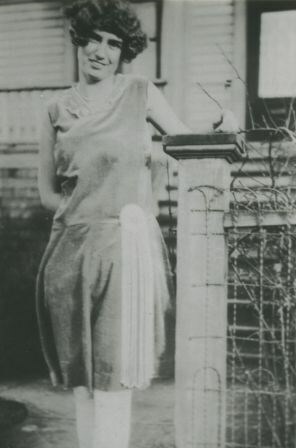 Photograph of Grace Potter standing at a gate of a house. 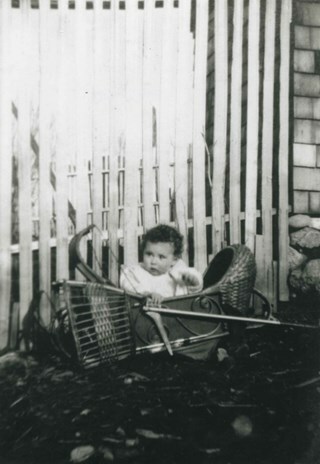 Photograph of Thais Bonnett in her "Oriole" cart. 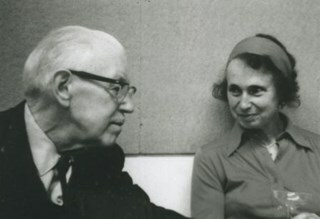 Photograph of husband and wife, George and Lillian Langford. 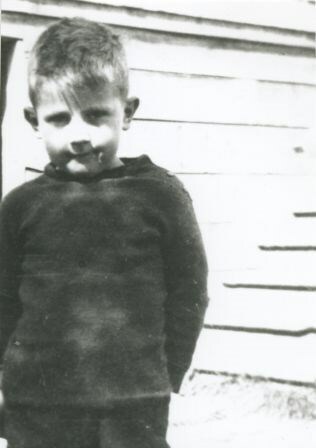 Photograph of Frank Langford, son of George and Lillian Langford. 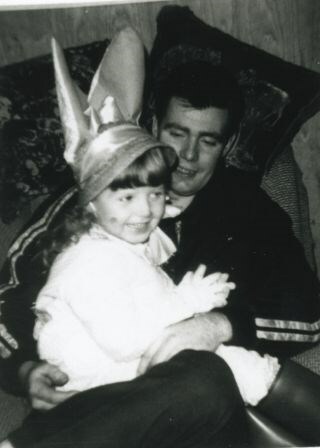 Photograph of a child wearing a fancy bonnet sitting on a man's lap. Photograph the Leonard and Violet Boggust family home. 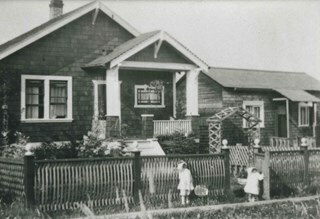 Two children are standing in front of the fence. 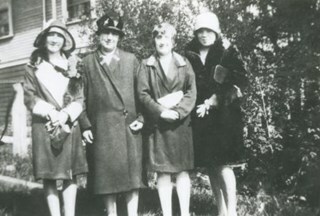 Photograph of Martha, Mrs. Campbell, Annie, and Elsie McKenzie. 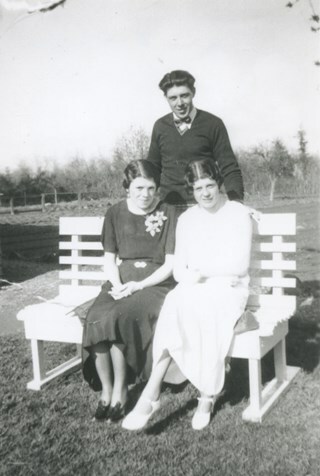 Photograph of McKenzie family sisters and brother: Elsie, Alex and Mary. 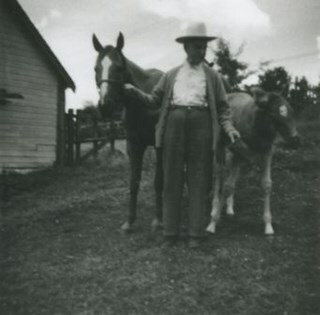 Photograph of a man standing beside an Easthope Gasoline Stump Puller used for clearing land. 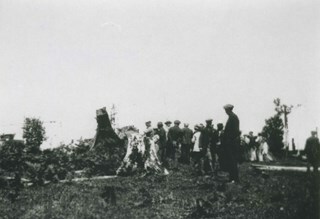 Photograph of a group of men standing beside tree stumps. 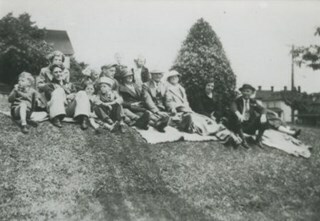 Photograph of a Wright family picnic. 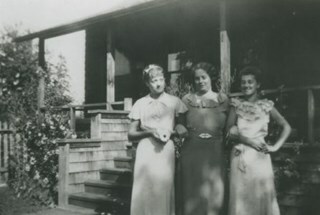 Photograph of three young women standing in front of a house. 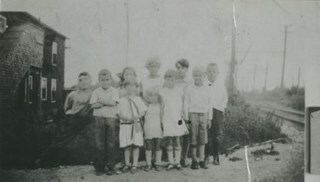 Photograph of a group of children, boys and girls, standing beside some railroad tracks. 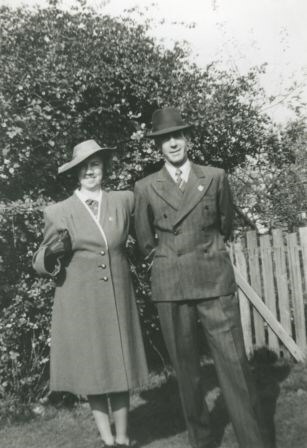 Photograph of an unidentified man and woman. 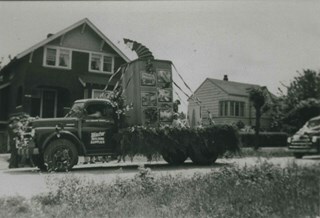 Photograph of a float in a parade given on behalf of the volunteers who worked to create Forglen (Forest Glen) Park. The float includes a large jack-in-the-box and the truck door reads, "Windsor Building Supplies." 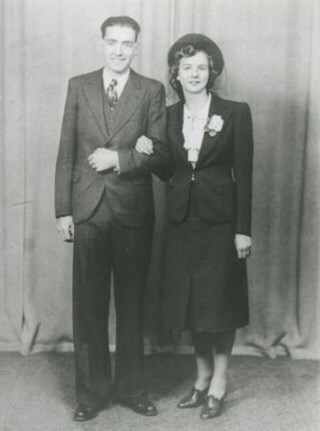 Photograph taken on the wedding day of Harry and Gertrude O'Brien. 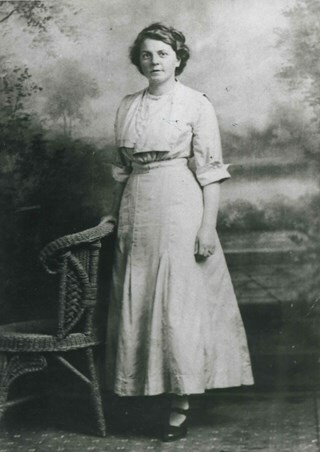 Photograph of Mary Anne Crossan, mother of Gertrude O'Brien, and one of the first teachers at Gilmore School. 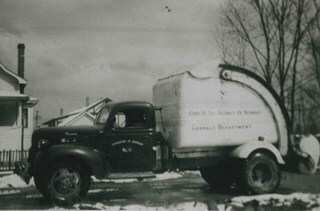 Photograph of one of the first motorized sanitation trucks in Burnaby. The side of truck reads, "Corp. of the District of Burnaby / Garbage Department." 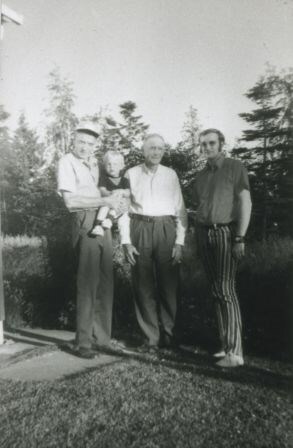 Photograph of four generations of the O'Brien family; Harry with Casey in his arms, Bob, and Ed O'Brien. Photograph of the Lehman brothers, sons of Elsa and Boris Lehman. 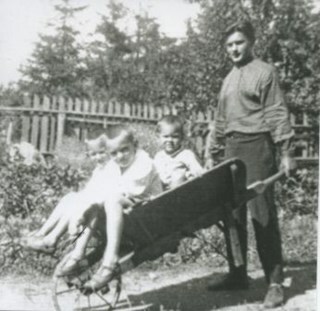 The eldest; Wady Lehmann is pushing his younger brothers; Frederick, Robert and Rudolph in a wheelbarrow. 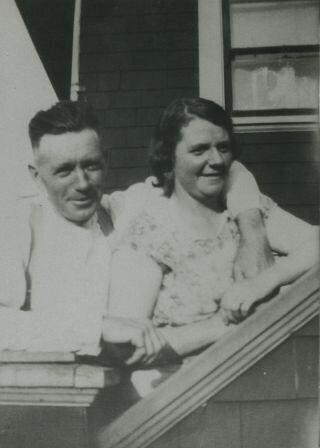 Photograph of siblings Lance, Robert and Gladys Woodean, children of Pearl and Ed Woodean, taken on Brantford Avenue. 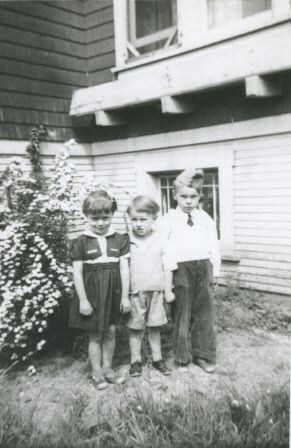 Photograph of Gladys, Lance and Robert Woodean, children of Pearl and Ed Woodean. 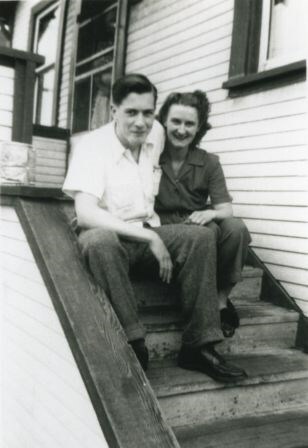 This photograph was taken in front of their grandparents' home on Brantford Avenue.